In 1972 "Limits to Growth" commissioned by the Club of Rome concluded "If the present growth trends in world population, industrialisation, pollution, food production, and resource depletion continue unchanged, the limits to growth on this planet will be reached sometime within the next one hundred years. The most probable result will be a rather sudden and uncontrollable decline in both population and industrial capacity." Four decades after it was published, the Guardian Newspaper reports that Limits to Growths forecasts have been vindicated by new Australian research. Dr Graham Turner of Melbourne University suggests that the world is tracking pretty closely to the Limits to Growth "business-as-usual" scenario. The University of Melbourne research however does not indicate that collapse of the world economy, environment and population is a certainty. Nor do they claim the future will unfold exactly as the MIT researchers predicted back in 1972. 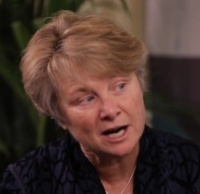 Wars could break out; so could genuine global environmental leadership. Either could dramatically affect the trajectory. As we kick off a new year and a change of government in Vic and Qld, I thought it was opportune to look at what genuine global environmental leadership could look like. For me it's summed up by the principles and innovations including Biomimicry and the Circular Economy that are incorporated in the Blue Economy, which some say is the greatest ECONOMIC DEVELOPMENT and WEALTH CREATION opportunity of our time, where nature and business go hand in hand. The Blue Economy Report as presented to the Club of Rome by Prof Gunter Pauli is now printed in 38 languages and provides the inspiration, methodologies and technologies for sustainable development around the world. It's shaping a new ethical, more sustainable way to do business and its creating jobs (millions of them), solving problems, teaching business and industry to be more entrepreneurial and collaborative working with what we have, led by physics and inspired by nature so we create zero waste. Through a systemic approach, standing on the shoulders of the Green Economy the Blue Economy delivers win:win solutions to a changing economic landscape in which resource depletion and social costs are untenable and unsustainable. Its 100 game changing innovations are set to generate 100 million new jobs in the next 10 years. These innovations draw on the latest bodies of knowledge, research, technologies and business models of pioneering entrepreneurs, scientists and economists worldwide. As one of only 25 accredited Blue Economy Experts in the world, it is my great pleasure to present a series of one day workshops across Australia this February, to help you understand how you can do better business through the philosophies, principles, methodologies and technologies of the Blue Economy. It will open doors to a WORLD OF OPPORTUNITIES creating value in ways you could not have imagined possible - to support and inspire you, your business, your industry and the communities in which you operate. Network with your peers and join the growing list of organisations such as NewsLimited, Coca-Cola, Hanson, Ricoh, Brisbane City Council, Hume City Council, CitySmart, EnviroCom Australia, Global Green Tag, Victoria University, ZOOiD, In2uitive Sustainability, Balance 3, Ekkremon, Northern Sydney Institute and the NSW Office of Environment and Heritage who have already undertaken this foundation workshop. Einstein reminds us: "We can't solve our problems with the same thinking we used when we created them." We need a new set of lenses to view our challenges so we can devise holistic systemic solutions that work with not against nature to build capital in all its forms. The Blue Economy provides that lens. With current high rates of unemployment and in excess of $40 trillion to be spent on cities across the globe on technologies such as energy generation, grids, water, waste and transport over the next 25 years plus $1 trillion of waste per annum begging to be utilised, there's never been a more important time to discover the Blue Economy. I look forward to you joining me as we transition from Green to Blue, from sacrifice and lack to abundance and prosperity - working with not against nature, generating jobs and creating more value from what you already have - that our Blue Economy education and training will expose. If your region is not currently represented and you'd like to host a Blue Economy Workshop, just call or email us, as we'd be happy to add new dates, especially in regional areas. In the interim, read on to learn more about the Blue Economy and the many opportunities it can bring in this Special Blue Economy Summer Edition of MOSS NEWS, VIEWS and EVENTS. Nappies upcycled to produce roof tiles & railway sleepers. The average baby uses the equivalent of 150kg of wood in their nappies. With some 450,000 used nappies per day, Scotland has pioneered a nappies-to-roof tiles scheme where nappies are collected in recycling bins and sent to treatment plants, where they're sterilised and the nutrient rich human waste removed. The plastics and celluloid contained in the nappies are then converted to everyday products such as park benches, railway sleepers and road signage. The next step to complete the cycle will be how they make use of the nutrient rich human waste! This is a great new business opportunity for budding entrepreneurs! In Mexico, consumer product giant P&G also now turns rejected nappies into roof tiles while scraps from its American Pampers nappies are reused as upholstery filling. Fifty P&G plants now produce zero manufacturing waste, and it claims that repurposing the waste has created an additional value of $1bn for the company. Elsewhere, a growing number of parents are turning to GNappies. 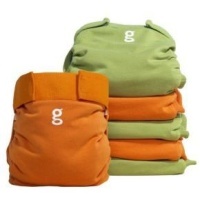 The British company makes nappies in two parts: covers that can be reused, and inserts that can be composted to ensure all the nutrient is well usitized! Worms as fertilizer. Repurposing waste can be as simple as it is ingenious. In Guatelamala, Byoearth uses red worms to transform food and other biodegradable waste into organic fertiliser to produce a diverse range of products. Doing so, reduces waste and results in higher-quality soil. Various worm species and flies are also voracious eaters of human waste which could add additional bi-products and value from used nappies. Opportunities about with what one can do with human waste. Nutrient recycling provides wound healing and is set to feed the world! A new sustainable commercial scale fly farm initiative is setting the international agricultural industry abuzz with a new facility planned for South Africa. It delivers nutrient recycling where nutrients remaining in food and animal waste is fed on by flies and recycled into their offspring to provide a high protein food for fish and chicken farmers. More... Those wriggly maggots can also produce high value wound healing products. Innovative paper reduces food waste. Rarely does one blank piece of paper make a big difference. But FreshPaper an organic and biodegradable sheet added to fruit and vegetables, keeps the produce fresh for longer, thereby eliminating countless tonnes of wasted food. As world demand for food keeps rising, eliminating food waste will become even more important. Creating high value products from waste. San Diego based Ecor takes cellulose fibres found in wood, cardboard, forest and agricultural waste, and turns it into new HIGH VALUE products including construction material. The process is surprisingly simple: the waste is mixed with water, heated, pressurised and made into sturdy panels and walls, tables, bowls, even glasses frames. Best of all, they contain no toxic additives and can be recycled at the end of their life-span. PET upcycling produces quality yarn. If you really need to buy soft drinks or even bottled water, make sure to recycle the bottles as they can be used for yarn. 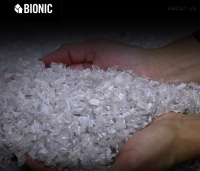 Bionic Yarn turns used PET bottles into fibres that can be used in clothes. The bottles are cut into chips, which are in turn shred into fibres. The fibres are mixed with polyester and spun into yarn. The end product contains 40% recycled plastic bottles, including those found in large colonies of plastic bottles floating on the world's oceans. Agri-waste upcycled into plastic bottles and medical devices. Bologna-based Bio-on has developed a pioneering process that turns agricultural waste into biodegradable plastics. Using a fermentation process involving sugar beet, Bio-on manufactures plastics that can be used for anything from food packaging to electronics. The bioplastic can also be used to regenerate human tissue to create support structures (scaffolds) for cultured bone cells; structures through which it is possible to regenerate a human bone. Recycling polyester and cotton. 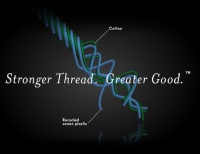 Japanese firm Teijin have discovered a way of recreating polyester from itself. It has already saved tonnes of clothes from landfill, and earlier this year, Swedish firm Re:newcell unveiled a similar process for cotton. For several years now, retailer Patagonia has sold clothes made from Teijin-recycled fabric. 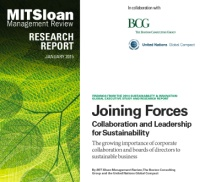 New sustainability research highlights collaboration and board engagement as critical to sustainability success. Ninety percent of executives agree that businesses need to collaborate to address the sustainability challenges they face. 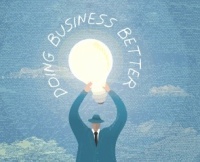 Eighty-six percent say that the board should play a strong role in a companys sustainability efforts. So knowing how to communicate sustainability is essential to success, so why not join us for our highest rating and most popular workshop - How to improve your sustainability communication, strategy, skills and storytelling ability to learn how to advance sustainability in your organization / community. Google Play lists more than 400 sustainability-related apps. 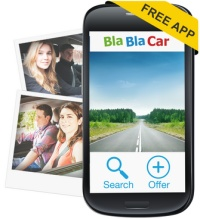 The most popular is BlaBlaCar, which connects drivers with empty seats with people looking for a ride, allowing users to search the biggest European car-sharing community. Common tools in this genre include ethical shopping guides, carbon footprint calculators and educational games. Businesses of the future will be judged on whether they can seed and grow farms of apps that provide solutions to the world's most serious challenges. Web 2.0 is not just about everybody being continuously online. Rather, it is a new business mindset that uses collective intelligence and co-creation to find solutions to our global challenges, and uses technology to achieve speed and scale in spreading innovation to the parts of the world with the most urgent unmet needs. CSR and Sustainability Education and Training to advance your career and help you achieve your sustainability goals. ZOOiD presents best practice Reporting Workshops. ; July 29/30, in Sydney.